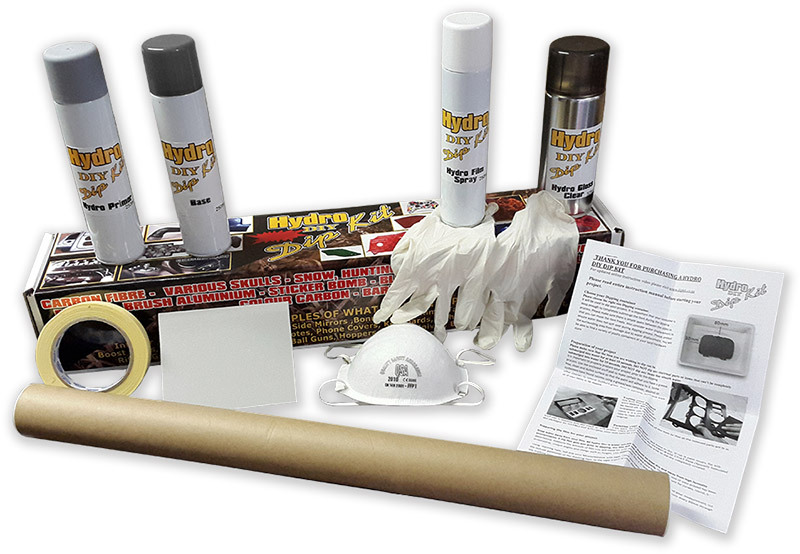 The best way to get started is to purchase one of our Hydro DIY Dip Kits. This is a great option to familiarise yourself with the product, dip samples to showcase to prospective clients and do some dipping for yourself. The DIY kit comes complete with everything required to dip metal, plastic, wood, fiber glass and glass objects. Configure your Hydro DIY Dip Kit by selecting one of over 100 hydrographic film patterns and one of 20 base coats here.